Five years ago today, we were honored to host First Lady Michelle Obama at La Petite Academy in Bowie, Md., as we announced that the company was joining the Partnership for a Healthier America (PHA). 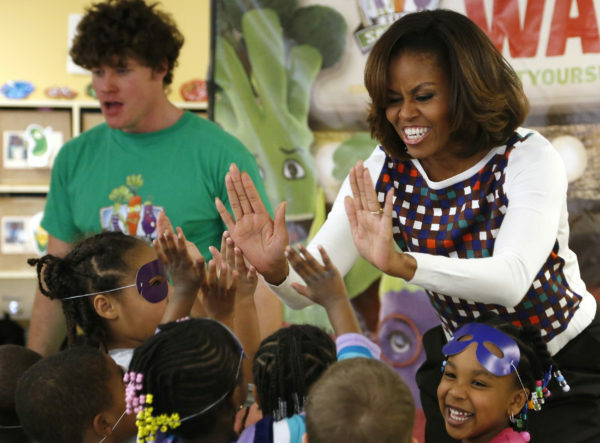 Flanked by some giant vegetables, the First Lady led our students in a Grow Fit Dance Break. She also shared a healthy snack of carrots, celery sticks and tomatoes with the kids as they talked about the importance of making healthy choices. Providing children with nutritious meals and encouraging physical activity is a critical first step in ensuring they thrive during their early years. 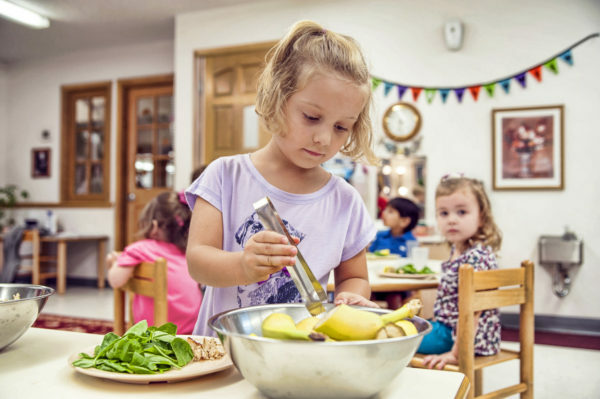 Teaching them to make healthy choices is vital for their future success – and one of our greatest responsibilities as an early childhood education provider. That’s why at Learning Care Group, our Grow Fit mindset extends to every aspect of our school experience – through wholesome meals, curricular activities that emphasize movement and fun special events. We believe it’s our responsibility to make the most of a child’s crucial first years by providing the tools, encouragement and guidance that will unlock a world of discovery for all the years to come. We have implemented and exceeded the PHA’s standards for physical activity, screen time, food, beverages, infant feeding and parent engagement. In recognition for the significant positive impact we’re making in children’s lives nationwide, we were named PHA Partner of the Year for 2017. This highly esteemed honor underscores our role as a leader for prioritizing healthy practices throughout our schools, as well as for the meaningful changes we’ve made possible more broadly throughout our industry. Along the way, we’ve reduced fat and sugar by eliminating fried foods and juice. We’ve enhanced our Grow Fit menu to include over 50 fruits and vegetables and more than 30 multi-cultural offerings. Our children stay active each day, and take daily dance breaks to get re-energized for learning. In addition, we offer families resources to encourage healthy choices – from guidance on introducing children to new foods and turning around picky eaters, to sharing our kids’ favorite Grow Fit recipes, and offering suggestions on staying active. As we further advance the PHA goals, we’re building upon our best practices to pave the way to a healthier future for our children.